Thoughts on teaching and learning in the 21st century. Yesterday, Grant Lichtman offered a series of words to replace education’s heralding of the word “grit” as the solution to what students today need to achieve. None of the words he listed suffice alone; only in their totality do they describe a vibrant educational experience: passion, risk, empathy, uncertainty, reflection, authenticity. The word “grit” itself causes many of us concern because it appears coded. (On a side note, for an incredibly enlightening look at coded words and phrases, check out NPR’s Code Switch). What do I mean by “coded”? 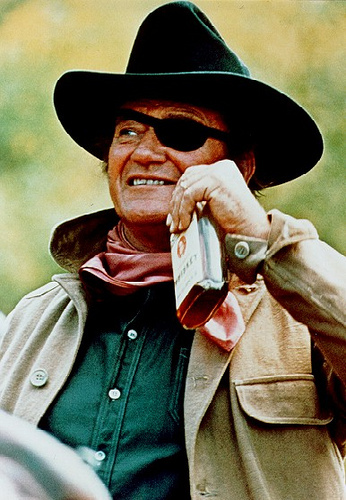 Well, on its surface the word “grit” can conjure for many of us images of John Wayne, steel workers, or Navy Seals. The word has traditionally been used to characterize individuals who possess indomitable spirits, who persevere despite circumstances that would make most of us surrender or retreat. But when it’s employed in education, it seems to suggest something different altogether. Should the classroom or the lives of the students who attend that classroom demand grit in the way the lawless Wild West, the molten heat of steelworks, or the exhausting physical and mental challenges of military missions do? Or is the word used to describe the actual circumstances in which many children live – dirty and dangerous? And is it, when used by policy makers or educators, in some way a surrender to those circumstances, an unwillingness to address or uncertainty how to address the underlying causes of those conditions? Shouldn’t we be asking ourselves why many of the children in our country must develop grit as their prevailing characteristic in order to succeed? 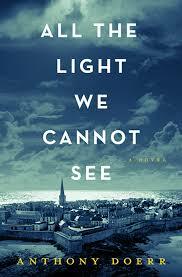 I read Grant’s post shortly after I finished reading Anthony Doerr’s book All the Light We Cannot See, a novel set in World War II Europe which follows in alternating chapters the lives of a young blind French girl and a talented young German soldier. Both are overwhelmed by the crushing circumstances of their lives. They are alone, often acting out of sheer instinct or intuition. To survive they need grit. In abundance. The war ends, and a German boy’s duffel bag is returned to his family. It made its way from an open mine field of bodies to a US Army prisoner-of-war processing camp in France, to a military storage facility in New Jersey, to a veterans’ service organization in West Berlin. What is it about us humans that we can engage in the most dehumanizing, crippling acts of violence where a man, a woman, a child’s life can be taken without a moment’s thought, as though a shared understanding of morality has been completely suspended, and then days or months later we can collect and care for a dirty, canvas duffel bag to ensure that it finds its way home as though it is a small child lost in the middle of a busy city? Perhaps, we are all capable of acts of blindness, aware of some things but sightless to others. But at what point should we stop the wheels of history from traveling the same Sisyphean path and instead begin to see things more deeply? At what point do we begin acknowledging the absurdity of ascribing worth to a duffel bag yet denying value to the single human life that held it? I wonder if the questions that story had me asking about war aren’t similar to the ones we should be asking about education. Why aren’t we addressing the core problems that lie at the heart of education and in many respects at the heart of society and instead are spending our energy and time encouraging kids to be grittier? At what point do we begin acknowledging that this is just a capitulation, an acknowledgement of our own inability as adults to create a world where children’s primary characteristic trait isn’t perseverance? What are we failing to see that we cannot or will not see? Thanks for the novel recommendation. As for grit, I value your contribution to this conversation I have not been following. Your post, though, evokes two memories–one involving a student and the other a teacher. In the first memory, from my office I hear persistent banging in the hallway around the corner. Turns out a student is trying to close his locker by slamming it ever harder without success. I leave my chair to investigate. With my guidance, he discovers a loose hinge and adjusts his maneuver accordingly. Problem solved. In the second memory, a colleague uses a Thomas Edison quote as his email signature. I think I have this about right: “I have not failed. I have just found 10,000 ways that do not work.” Grit may involve perseverance, but true grit may involve other qualities implied in these two episodes. As a mathematician character in David Auburn’s play PROOF says, sometimes to solve a problem you have to back away from it for a while. Your posts help readers do that.